For sale, $10.00 each. 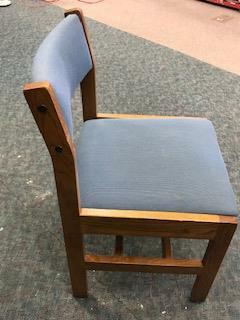 Blue fabric chairs with wood frame. Quantity: 30. Pick-up only, by Tuesday, April 9.